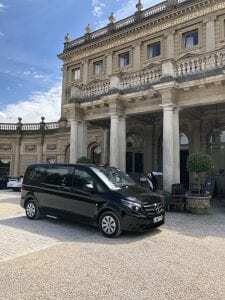 Hire a London Black Cab to Bath for just £395.00 return. Bath is a beautiful town and is set in the rolling countryside of southwest England. The museum at the site of its original Roman Baths includes The Great Bath, statues and a temple; the facility’s Pump Room serves a popular afternoon tea. Today’s visitors can soak in the waters at the contemporary Thermae Spa. Bath is a also designated as a UNESCO World Heritage site. Our professional drivers will make sure you get the best from the day. We can pick you up from your hotel and give you an amazing trip to remember. Independent, creative, stylish, it’s is the only place in the UK where you can bathe in naturally hot water spas, and original roman style baths. This makes it the ultimate spa break destination, and its been that way for thousands of years. If you fancy a romantic break, fun family holiday, indulgent getaway or an exciting day out. Why not discover England’s Georgian architecture, restaurants, bars and cafés! Our London Black Cab will be with you all day. Maybe after a exhausting day sightseeing enjoy a day out shoppinng at Bicester Shopping Village.